Snapcraft, browsers, and green cats. This Midori looks interesting, maybe I should try it out. Aha, there’s a Debian package for it. Meh, pretty crashy, I better ask some devs for help. Ah, so 0.5.8 is the latest. So why isn’t this packaged!? The answer is simple, Midori needs a Debian package maintainer! Thousands of Debian and Ubuntu users are facing the above situation, including lots of Raspberry Pi users. A single person stepping up to it can literally change the world at this point. Now if fame isn’t motivation enough, there may be a t-shirt to get. This entry was posted in Midori on September 2, 2014 by kalikiana. The WebKit2 GTK+ API has always been GTK+ 3 only, but WebKitGTK+ still had a hard dependency on GTK+ 2 because of the plugin process. Some popular browser plugins like flash or Java use GTK+ 2 unconditionally (and it seems they are not going to be ported to GTK+ 3, at least not in the short term). These plugins stopped working in Epiphany when it switched to GTK+ 3 and started to work again when Epiphany moved to WebKit2. To support GTK+ 2 plugins we had to build the plugin process with GTK+ 2, but also some parts of WebCore and WebKit2 (the ones depending on GTK+ and used by the plugin process) were built twice. As a result we had a WebKitPluginProcess binary of ~40MB, that was always used for all the plugins. This kind of made sense, since there were no plugins using GTK+ 3, and the GTK+ 2 dependency was harmless for plugins not using GTK+ at all. However, we realized we were making a rule for the exception, since most of the plugins don’t even use GTK+, and there weren’t plugins using GTK+ 3 because they were not supported by any browser (kind of chicken-egg problem). Since WebKitGTK+ 2.5.1 we have two binaries for the plugin process: WebKitPluginProcess2 which is exactly the same 40MB binary using GTK+ 2 that we have always had, but that now is only used to load plugins using GTK+ 2; and WebKitPluginProcess, a 7,4K binary that is now used by default for everything except loading plugins that use GTK+ 2. And since it links to GTK+ 3, it might load plugins using GTK+ 3 as well. Another side effect is that now we can make GTK+ 2 optional, WebKitPluginProcess2 wouldn’t be built and only plugins using GTK+ 2 wouldn’t be supported. 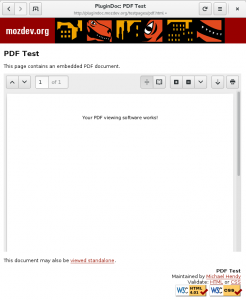 At the WebKitGTK+ hackfest in 2012 we started to think about how to implement the integrated document reading in Epiphany based on the design mockups. We quickly discarded the idea of implementing it as a NPAPI plugin, because that would mean we had to use a very old evince version using GTK+ 2. We can’t implement it inside WebKit using libevince because it’s a GPL library, so the first approach was to implement it inside Epiphany using libevince. I wrote a first patch, it was mostly a proof of concept hack, that added a new view widget based on EvView to be used instead of a WebView when a document supported by evince was requested. 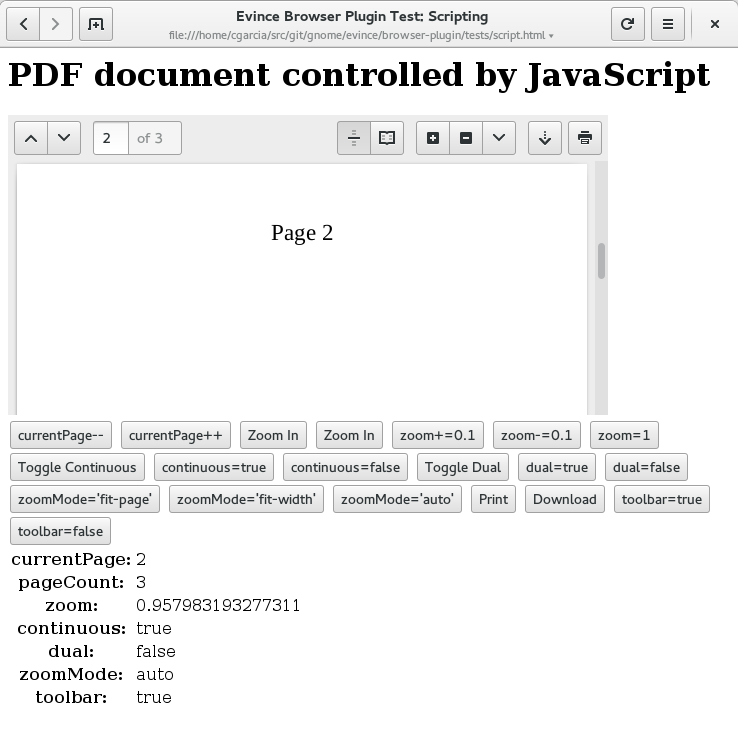 This approach has a lot of limitations, since it only works when the main resource is a document, but not for documents embedded in a HTML page or an iframe, and a lot of integration problems that makes it quite difficult to maintain inside Epiphany. All of these issues would be solved by implementing it as a NPAPI plugin and it wouldn’t require any change in Epiphany. Now that WebKitGTK+ supports GTK+ 3 plugins, there’s no reason not to do so. Thanks to a project in Igalia I’ve been able to work on it, and today I’ve landed an initial implementation of the browser plugin to Evince git master. It’s only a first implementation (written in C++ 11) with the basic features (page navigation, view modes, zoom and printing), and a very simple UI that needs to be updated to match the mockups. It can be disabled at compile time like all other frontends inside Evince (thumbnailer, previewer, nautilus properties page). And you can pass initial parameters (like current page, zoom level, view mode, etc.) from the HTML tag. <object data="test.pdf" type="application/pdf" width="600" height="300"
The pdf could not be rendered. 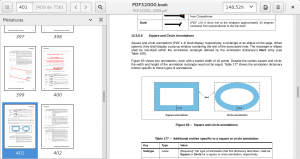 This entry was posted in WebKit and tagged epiphany, evince, Free Software, GNOME, Igalia, pdf on August 6, 2014 by carlos garcia campos. WebKitGTK+ 2.5.1 is the first version of this release cycle. It comes very late mainly due to the regressions introduced by the switch to CMake and the problems we found after removing WebKit1 from the tree. It also includes some new features that I’ll talk about in other posts, probably when 2.6.0 is released. In this post I’ll only focus on the breaks introduced in this release, in order to help everybody to adapt their applications to the API changes if needed. Wait, but why breaking the API? Since the release of WebKitGTK+ 2.0 the WebKit1 API has been considered deprecated and in maintenance mode. The new WebKit2 API is quite complete and stable now, so the plan for WebKitGTK+ 2.6 was removing WebKit1, leaving it alive, but still in maintenance mode, in the 2.4 branch. After removing the code from trunk we realized that newer versions of WebKitGTK+ that are WebKit2 only should be parallel installable with older versions of WebKitGTK+ that also include WebKit1. After some discussions trying to find the best solution, we reached the conclusion that we had to bump the binary version. But then I thought, since we were going to force everybody to recompile, why not take advantage to introduce some small (but necessary) API changes that in most of the cases will not affect the the users anyway? And then I started to review the API and proposing some changes. I also wanted to make sure all API changes were introduced in the first unstable release, so that users only have to adapt their applications once, and that’s the main reason why the release has taken so long. The new binary version is 4.0, so to use this new release you need to update your build system to look for webkit2gtk-4.0 pkg-config file. The GObject DOM bindings API situation was actually the main reason for breaking the API. The problem was that the code for the DOM bindings is generated automatically from the IDL files. This means that every time a new IDL file was added to the build system, we ended up exposing a new class in our public API without even noticing. Same happened when a API incompatible change was introduced in an IDL file, for example to update it to the current standard. We added a script to our build bots to warn us when that happened, and then we had to manually deprecate the existing API and add exceptions to the code generator. This was a lot of work just to keep backwards compatibility of an API nobody was using. Most of the people actually use a 5-10% of the DOM bindings API. Classes that are considered unstable: the entire class is considered unstable. The header is not included in the main webkitdom.h header, so to use them you have to include the header file explicitly. Unstable symbols of stable classes: a method or constant in a stable class that is considered unstable. In this case the header file is included by the main webkitfom.h header, but it doesn’t contain any unstable symbols, they are included in a new header WebKitDOMClassNameUnstable.h that also needs to be included explicitly. The API changes in the WebKit2 GTK+ API could have been avoided, by deprecating symbols and adding new ones, but since we were going to break the API anyway, and the affected symbols are not that commonly used we thought it was worth it. WebKitWebView::create: the signal now receives a WebKitNavigationAction parameter containing information about the navigation action that triggered the event. So now you can know the type of event (if it was a link clicked, a form submitted, etc. ), the mouse button and keyboard modifiers, the URI request or even if it was a user gesture. This information is very useful to implement a popup blocker, for example. WebKitWebViewGroup has been removed. This class was only introduced to add the user stylesheets API, since most of the people actually use the default web view group. The grouping of pages inside WebKit2 is something that will be eventually removed, in favor of users doing the groups they need. The user stylesheets API has been moved to a new class WebKitUserContentManager that will also be extended to support user scripts. The settings can still be handled directly with the WebKitWebView API, so that if you want a group of web views to share the same settings you can simply call webkit_web_view_set_settings() for all the web views passing the same WebKitSettings object. WebKitCertificateInfo has been removed. This was supposed to be a convenient way of handling TLS certificates, but when trying to use it in a real case, it ended up being unconvenient. The WebKitWebView::load-failed-with-tls-errors signal now receives a GTlsCertificate and TlsCertificateFlags, and webkit_web_context_allow_tls_certificate_for_host() receives a GTlsCertificate. Sure, we are available as usual in the #webkitgtk+ IRC channel at FreeNode and our mailing list webkit-gtk@lists.webkit.org. 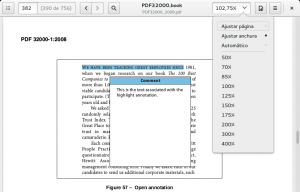 This entry was posted in WebKit and tagged Free Software, GNOME, Igalia on August 1, 2014 by carlos garcia campos. 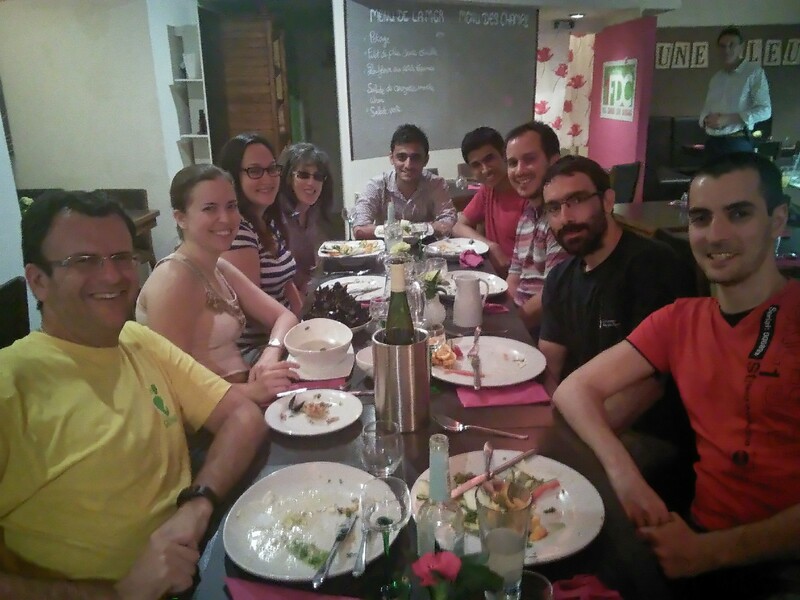 The Evince hackfest took place last week from 23rd to 25th July in Strasbourg. Yes, 3 days only, but very productive in my opinion, I’ll summarize all the cool stuff we worked on. This work was initially started by Owen, and then Germán kept the patches up to date with evince git master. I reviewed all the pending patches and updated the thumbnails one and the result is that evince doesn’t look blurry on HiDPI screens any more. This was a GSoC project of 2013, but the patch provided by the student was never in an “upstreamable” state. Again Germán, who always loved this feature, took care of the patch addressing my review comments. At the beginning of the hackfest most of the work has already been done, we only needed a few more review iterations during the hackfest to finally push this feature to master. 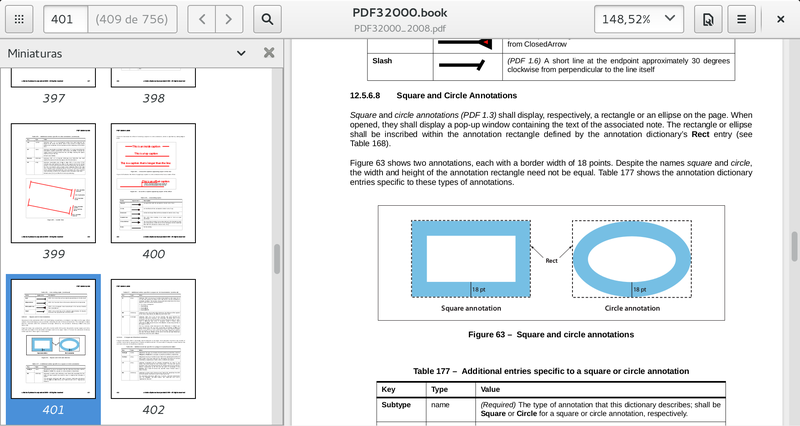 The idea is to show the list of recent documents as an icon view with thumbnails and documents metadata. This view is loaded when evince is launched without any document replacing the useless empty window we had before. It also replaces the recent documents submenu in the gear menu. José Aliste removed the next/previous buttons from the header bar and moved them to the view menu, together with the other navigation actions (go to first/last page) that were in the gear menu. I tried to reduce the amount of space used by some of the widgets. 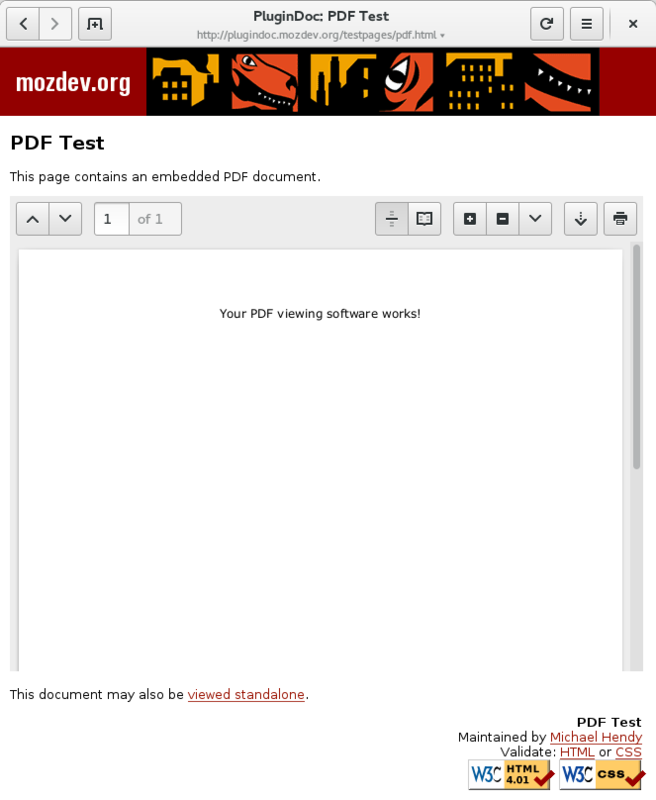 The page selector widget was using too much space when the document contains page labels, due to the parentheses. The zoom selector widget tried to behave similar to a combo box, so that the size of the entry depended on the size of the drop down menu. This made the widget use more space than required for the entry contents, and it depended on the current locale. So, I replaced the drop down menu with a GtkPopover and made the entry size depend on its contents instead of the menu. Since there are a lot of documents with very confusing titles, Evince shows also the file name in the window title using the pattern <title>—<filename>. For those cases, José Aliste split the window title into title and subtitle of the header bar. José Aliste also started to work on the sidebar, reworking it to use a GtkStack instead of a GtkNotebook, simplifying the code a lot and playing with the idea of adding also a button to the toolbar like Preview (the mac document viewer) does. Juanjo Marín also wrote a patch to change the default zoom mode to “Automatic”, since several people commented that the current “Fit Width” mode doesn’t look good in screens with higher resolutions. The patch is still waiting review. Giselle and Anuj, our GSoc students this year, worked on their projects to improve the annotations support in both Evince and poppler. Giselle was focused on adding support for highlight annotations to Evince, since poppler already has all the required API for this. The patches are not yet ready, but they look really promising. Joanie and API continued improving the evince a11y support and fixing some remaining issues from the FoG project. Antía fought with the caret navigation implementation again to implement some missing key bindings and fixing other issues. Juanjo Marín focused on the comics backend, working on a patch to use libarchive to uncompress the documents instead of spawning external command line tools. I started to review the gestures branch during the hackfest, patches looked clean and simple, but since I was not familiarized with the new GTK+ touch API and I didn’t have a touch screen to try it out either, I decided to wait after the hackfest and see it in action in garnacho’s laptop during GUADEC. Carlos explained to me how the touch API works in GTK+ and I could check it actually works great. The code doesn’t affect the normal use with the mouse, so the branch will be merged in master soon. Many thanks to Alexandre Franke for the local organization, everything worked perfectly. Of course thanks to the GNOME Foundation for sponsoring the GSoC students, Giselle and Anuj, and Igalia for sponsoring all the Igalians attending the hackfest. Thanks also to Epitech for allowing us to do the hackfest there before the GUADEC. This entry was posted in Uncategorized on July 30, 2014 by carlos garcia campos. Time for testing. Fresh build with many great fixes from the current trunk as well as updated dependencies. This build should resolve startup issues for users of Windows 8. In case of crashes debug files are shipped in the archive and you are encouraged to provide a backtrace. Non-working webinspector. Regular View (DOM) Source should still work if you need it. Grab the experimental Windows build now! Testing can help findings bugs before the next release! Give it a go, let us know how it goes! User feedback is valuable, either in comments, bug reports or #midori on Freenode (webchat). This entry was posted in Midori on July 28, 2014 by kalikiana. I’m happy to announce that Catfish 1.0.2 has been released. Find out what’s new in this release! I thought the delay in previous release announcements was embarrassing… but there have been several stable releases since my last post (0.6.1). I’ll try to keep this brief. If you’re running Ubuntu 12.10 or 13.10, Catfish 1.0.2 is available from the Catfish Stable PPA. If you’re running Ubuntu 14.04 or newer, Catfish 1.0.2 is available in the Ubuntu repositories. If you’re running another Linux distribution, you can download the latest source package from the Catfish downloads page. This entry was posted in Catfish, Ubuntu and tagged 14.04, Linux, Open Source, PPA, Xubuntu on April 14, 2014 by Sean. Today is the day of Midori 0.5.8. Dedicated to Adblock and WebKit2. Rather than trying to meet fixed dates as we used to, we selected which goals define if the cycle is done. No more no less. As liked, fast and efficient our Adblock extension was, the original maintainer isn’t around anymore and flaws were accumulating on a code base that wasn’t very accessible anymore. So long story short Adblock is rewritten from C to Vala, several classes and files instead of one monolithic entity, plenty unit test cases and real whitelist support. Add to that a statusbar icon for easy flipping filtering on and off and seeing whether anything was blocked on the site. If you had problems with peculiar display problems whilst using Adblock, chances are good they’ll be gone with the upgrade. Adblock is as always shipped with Midori so just be sure to enable it in the Preferences! In other news WebKit2 is making another big jump and closer to the finish line. Text selection behavior, favicons, support for multiple rendering processes, opening new windows and setting cache and cookie paths correctly. There’s still work to do in the areas of extensions and downloads in particular, but we’re getting there. We have working spelling corrections again. Right-click an underlined word and pick a suggestion from the menu. It’s that simple. 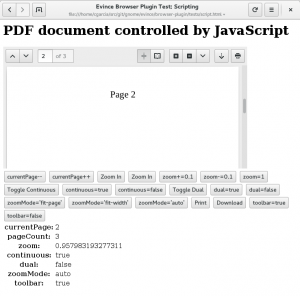 Two new extensions implement Ctrl+Enter to complete www. and .com and a handy little notes panel which automatically saves one or more snippets as you make changes. 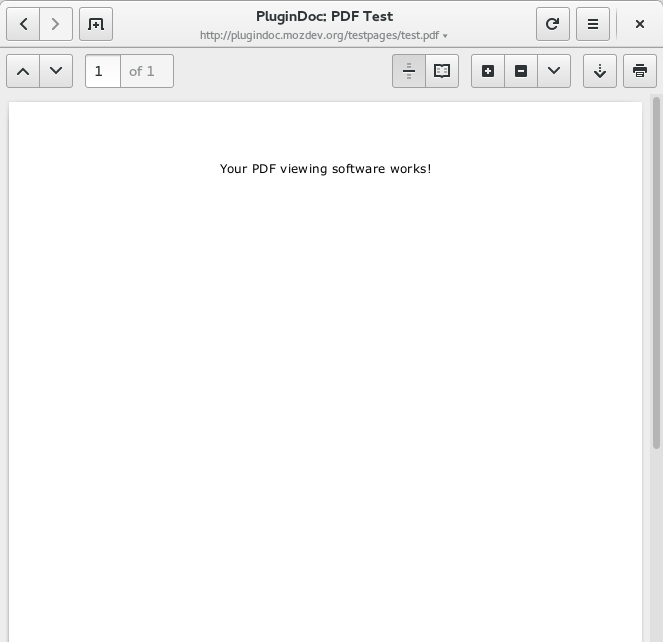 Aaaaaand we’ve got a brand new file type editor (MIME type on Linux). Finally the user is in control of how files open, either via the Preferences or the right-click “Open With…” menu item. As always see the file Changelog for more details. And stick around for a bit if your package isn’t there yet, it can take a while. Some downloads are still being refreshed right now, so be patient if you think the option of your choice isn’t there yet. You are welcome to join #midori on irc.freenode.net and party for the release! This entry was posted in Midori on April 3, 2014 by kalikiana. Yes, we did it again, we have just released WebKitGTK+ 2.4.0, another major stable release with a lot of bug fixes, some new features and more complete API. This is the most important new feature included in this release, and the one we have spent most of the release cycle with. All started during the WebKitGTK+ hackfest when a team of around 10 people worked together to implement the base of the multi-process support. And at the very end of the release cycle we have been able to turn it on by default in Epiphany. When the first page containing plugins was loaded, the UI process got blocked for some time, while the plugins were scanned. This was one of the most annoying bugs of WebKitGTK+ introduced in 2.0. Plugins are synchronously scanned on demand during the page load, and it’s something that can’t be avoided. WebKitGTK+ 2.4 uses a persistent cache to store information about all plugins, so that plugins are only scanned the first time or when they change. Process model: webkit_web_context_set_process_model() allows to set the WebKitProcessModel used by the WebContext. The only thing you need to do to have multi web process support in your application is calling webkit_web_context_set_process_model() with WEBKIT_PROCESS_MODEL_MULTIPLE_SECONDARY_PROCESSES. Applications can implement other multi web process models based on this one using webkit_web_view_new_with_related_view() to create a web view in the same web process of another one. API to pass initialization data to the web extensions: We can pass initialization data using a GVariant from the UI process to the web extension. A new signal WebKitWebContext::initialize-web-extensions has been added to notify about the best moment to use any API that needs to be called before the web extensions are loaded. The new function webkit_web_context_set_web_extensions_initialization_user_data() allows you to set a GVariant that will be passed to the web extension. In the web process side the new initialization function webkit_web_extension_initialize_with_user_data() can be used to receive the GVariant as parameter. This way we don’t need to use ugly hacks like the environment variables we had in Epiphany. TLS errors API: When the TLS errors policy set is WEBKIT_TLS_ERRORS_POLICY_FAIL and a website fails to load due to TLS errors, the new signal WebKitWebView::load-failed-with-tls-errors is emitted passing a WebKitCertificateInfo to the user. The load is always finished, but now it’s possible to add an exception of the given certificate for a host with webkit_web_context_allow_tls_certificate_for_host() and start a new load. As always a huge thanks to all the contributors that make this possible, and very specially in this release to the sponsors of the WebKitGTK+ hackfest 2013 (Igalia and the GNOME Foundation). There’s one last thing I would like to mention. Even when WebKit1 API has been deprecated since we released WebKitGTK+ 2.0, we have kept shipping both APIs in our tarball releases. A decision hasn’t been made yet, but this is probably the last release including the WebKit1 API, we have plans to remove the WebKit1 code from trunk and move all the build bots to run only WebKit2 tests. We encourage everybody to port their applications to WebKit2, submitting bug reports if there’s anything preventing the switch, and of course we are happy to help on IRC, mailing list, etc. 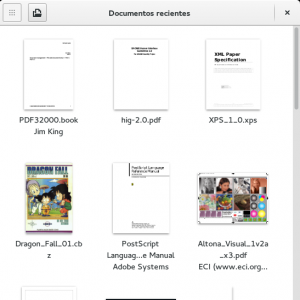 This entry was posted in WebKit and tagged Free Software, GNOME, Igalia on March 24, 2014 by carlos garcia campos. The avid user may have noticed the release is overdue, although scheduling a release over new year’s eve was probably a lost bet to begin with, so that’s why. The good news is we got some extra bug fixing time. So what did we get done? A good amount of clean-up including a revamped notebook – this is tech jargon for the tabs UI – with the goal of reducing bugs due to different build configuration, regardless of whether one is using GTK+2, GTK+3, Granite or Windows. A good deal of dead code could be dropped and many things simplified. There’s also a new Database abstraction which you don’t see on the outside but improves error handling and reduces bugs by unifying how things are done. Now this is all nice and boring, are there any actual changes? Yes! Session management, nicknamed tabby, again gets smarter about reacting to crashes by not loading the faulty website and running commands on the command line properly. Private browsing has also benefited from some bug fixing, such as not wrongly attempting to load favicons from disk and enabling the sidepanel, for example for downloads (or other panels from extensions, for the brave ones who use the command line to enable extensions in private browsing). Oddly enough one very small feature we got which I find amazingly useful myself ever since it’s there: Close Tabs to the Right. You wouldn’t think it does much, but if you’re applying a workflow of search and open as many results tabs as you can, and suddenly find all but one very much obsolete, this is exactly what you need. This entry was posted in Midori on January 15, 2014 by kalikiana. The current experimental build has had mostly positive feedback so it will be the basis for the upcoming Midori 0.5.7 for Windows. As described in detail earlier WebKit and GStreamer were updated. This also contains the latest featureset from trunk which is entering freeze now. This includes refactored tabs, better font defaults, and a number of smaller fixes. Any testing now can help findings bugs before the next release! Grab the experimental Windows build now and help testing! User feedback is valuable, either in comments, bug reports or #midori on Freenode (webchat). This entry was posted in Midori on December 20, 2013 by kalikiana.